Learn about the Midwest Logistics Difference & get started today! At Midwest Logistics, we know the importance of finding a fulfillment and warehousing partner that works hard to meet the unique needs of your business. With extensive experience storing and handling both perishable products that require regular rotation and non-perishable items like apparel. We invite you to browse the information found on this page to see what makes Midwest Logistics stand out among our competitors. No matter the size of the company Midwest Logistics has a spot for you. Unlike other eCommerce fulfillment providers, Midwest Logistics extends support beyond Shopify and WooCommerce to provide effective shipping and fulfillment services to businesses that utilize Amazon FBA or eBay to sell their products. We work hard to explain the process to our clients from creating a 3rd party shipment to rules and regulations each platform has for participants. Let us help your company ensure your products remain compliant while delivering the fastest shipping times possible to increase your customer service. As an import and export broker, Midwest Logistics can safely accommodate global or international product shipments by handing the involved paperwork and working with your manufacturer or distributor. We have the resources and knowledge needed to ensure your international shipments are safe during air, sea, truck or van transit. No matter what product your company provides, you can rest easy knowing its in the capable hands of Midwest Logistics. If you are selling perishable products, it is important to ensure they are stored properly. With Midwest Logistics, your products will always be stored in a cool, dry and secure environment for optimal preservation and extended shelf-life. Our inventory management specialists are investing the safety of your products during transit and work hard to provide professional packaging with minimal risk of damage before being delivered. Let us help improve your customer experience. Midwest Logistics offers easy integration with Shopify and WooCommerce to provide full eCommerce shipping. Take advantage of our proprietary plugins to notify our warehouse team whenever a new order is placed for quicker shipments. • We offer manufacturer direct pricing, cutting out the normal distribution markup and ensuring you the best price possible on all products. • We are centrally located in the Midwest United States in a climate controlled and security monitored facility. • We keep you up to date with weekly informative emails passing on any vendor news that we receive. • We offer free domestic shipping on orders exceeding $300. • We have no case quantities or minimum orders. • We are strict about MAP pricing, assuring a healthy margin for all of our customers on all of their products. • You can place your orders through phone, email and our new wholesaler portal. • We offer large amounts of samples and promotional material upon request for no additional charge. • Our customer service team is friendly and will work hard to meet your needs without pushing unnecessary products that you don’t want. • We offer a Product Replacement Commitment. Midwest Logistics is committed to ensure that you receive quality supplements that you will be able to sell, if for whatever reason you are unable to sell a particular product you will find value in our 90 day product replacement commitment. 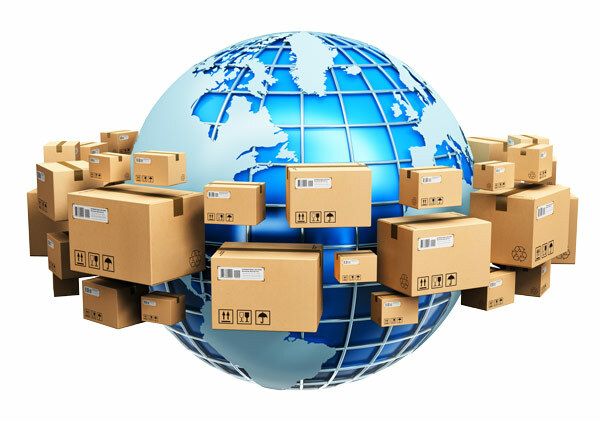 How Can eCommerce Fulfillment Services Help Your Business?